ADHD | Couples-Counseling Connection — Marriage & Family (McLean, Virginia). Does ADHD in Children Lead to Adult Mental Health Problems? A new study finds that ADHD often follows children into adulthood with other mental health disorders. This new study is worth a second look. To me an early accurate diagnosis is extremely important. ADHD is sometimes a catchall diagnosis for children when they are inattentive, impulsive or acting out. The causes could be attributed to other issues such as anxiety, depression or family stressors. A dual diagnosis, such as ADHD and anxiety can also exist. An early and complete diagnosis and a treatment plan is necessary. It may eliminate complications or a continuation of symptoms into adulthood. 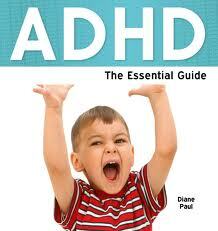 “ADHD Follows Into Adulthood.” Wall Street Journal (March 4, 2013). Prescription Medication and ADHD — Better Oversight Needed. The Sunday New York Times (Feb. 2, 2013) printed a lengthy article today about the downside of treating ADHD by medication and the abuse of medication by some patients. The real problem to me, as the article makes clear, is the lack of oversight by doctors prescribing them. This needs to be seriously addressed as a public health problem. “Drowned in a Stream of Prescriptions.” New York Times (Feb. 3, 2013).